Renewability is linked to the concept of sustainable development. The UN World Commission on “Environment and Development in our Future” says sustainability as the development which meets the needs of the present time without compromising the ability of future generations to meet their own needs. About 99% of the 311 million tons of plastic produced yearly is still made from oil across the world. The increasing menace of plastic waste across the world force us to think of a sustainable biodegradable plastic which supports the environment and can safely dispose of and recycled. In the past few years, the researchers, authorities and the public have been strongly attracted to the concept and perceived environmental advantages of biodegradable and/or renewable resource based plastics. 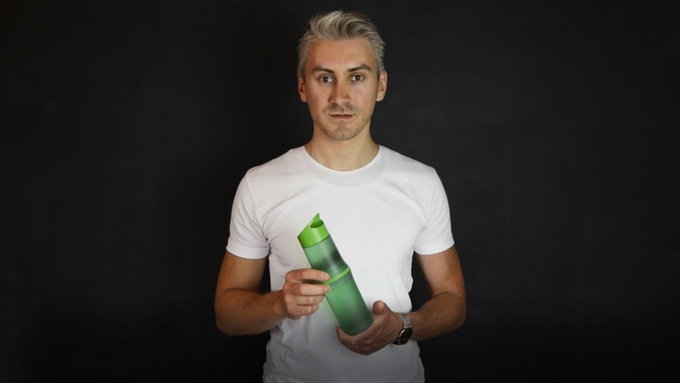 A social start-up ‘Be-O Bottle’ founded by Damir Perkic, has a green solution. 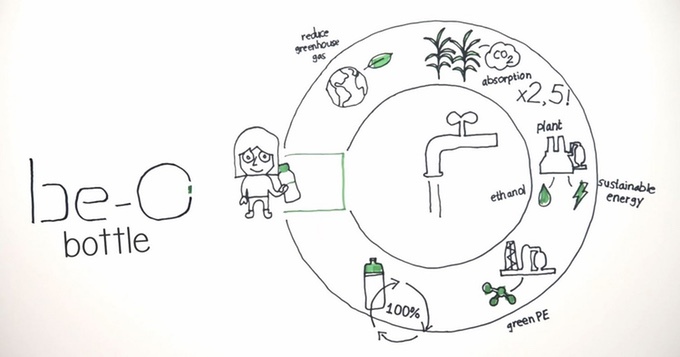 It aims to reduce plastic waste by developing bio-plastic products that accelerate the transition of oil plastics to natural renewable bioplastic. 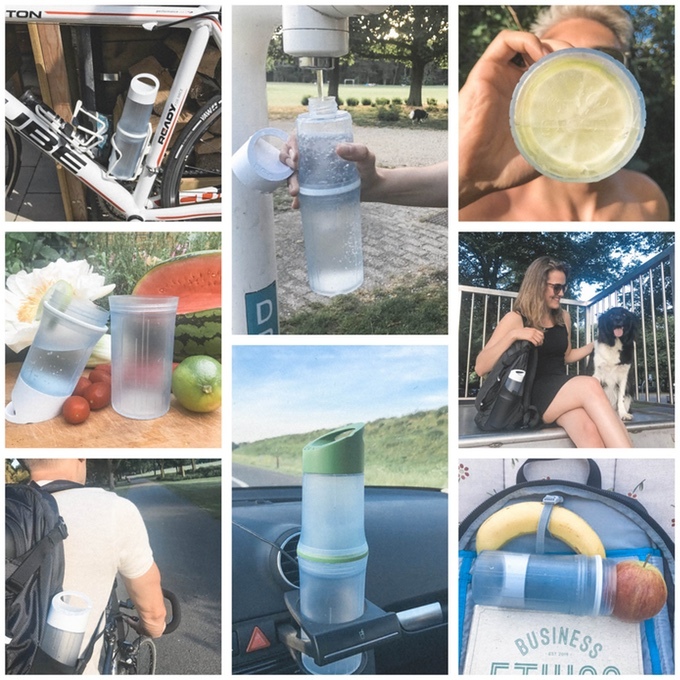 The design of Be-O bottle is stylish, handy, sustainable, user-friendly and 100% leak proof. 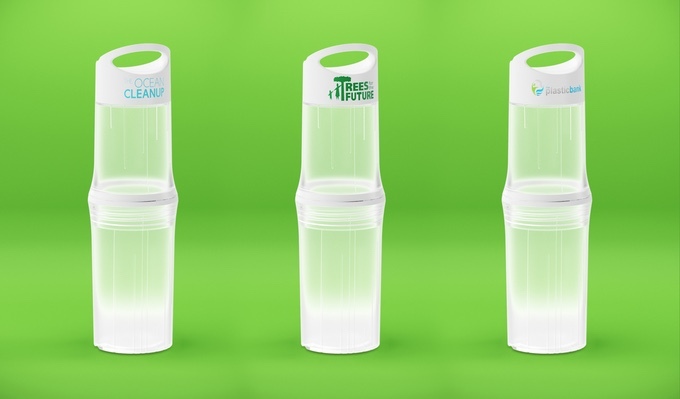 Initially, it is available with a compact 500ml/17oz size in three different colors- white, blue and green. According to the company, each color symbolizes one of the three non-profit organizations which they support. The blue color relates to The Ocean Cleanup, white color to Plastic Bank while green symbolizes to Trees for the Future. The company will donate €1, - to one of these organizations, for each bottle sold during the present Kickstarter campaign of this green product. 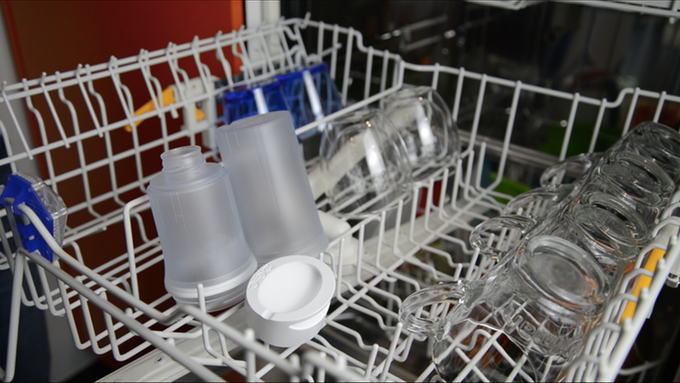 The Be-O bottle is easy to clean since it can be simply screwed apart. 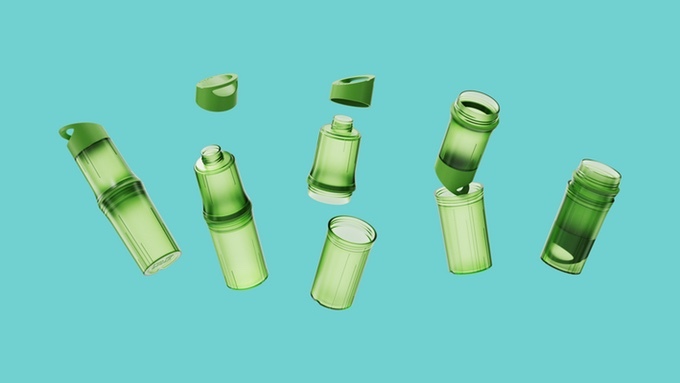 And if you want to store the bottle you can slide both parts in each other and this way you can save 40% in space. The eco-friendly bottle is made of 94% residual waste of sugarcane called BIO-PE which is 100% BPA free and there are no toxic substances in the material. It does easily withstand up to 80 degrees Celsius (176 degrees Fahrenheit) temperature making it compatible with every dishwater available in the market. Interestingly, the bottle is suitable for every drink. Water, alcohol, sparkling water or soda and more!